‘Tara’ means ‘Rescuer’. Like a kind, compassionate mother, she saves us from outer fears such as external dangers. She also saves us from the inner fears such as attachment, ignorance and anger and kindly guides us to all happiness up to enlightenment. This puja is very powerful for protecting us from obstacles and fulfilling all our wishes. 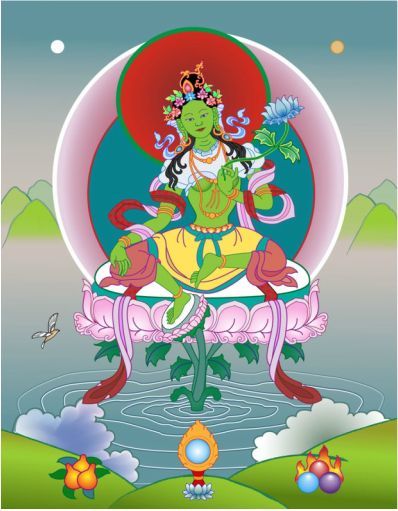 Tara is the embodiment of perfect wisdom. She is a manifestation of the all the Buddhas in female form and by reciting praises to her, she is able to help us very quickly.